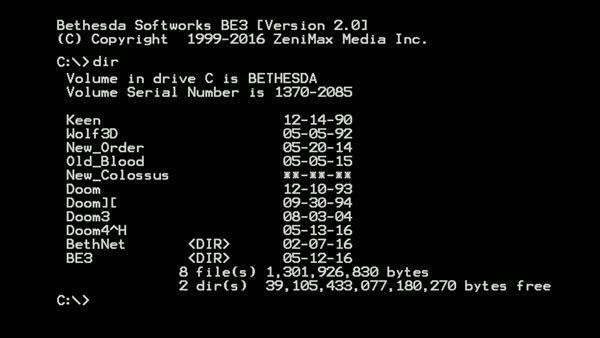 Bethesda opened up their E3 2016 press conference with a bit of a teaser that very few people caught onto right away. As you’ll see above, the teaser comes in the form of a command prompt screen with various games and events showing a release date with one noticeable title that only has stars in the release date section. That happens to be what will likely be a new game in the Wolfenstein series, Wolfenstein: The New Colossus. Of course, Bethesda did not officially announce anything for the Wolfenstein series during the event but we can likely expect some sort of announcement by QuakeCon.